Star of the Sea's Lifestyle program helps residents engage through a range of activities. Lovely arranged flowers are dotted around Star of the Sea Residential Aged Care at in Torquay, and usually they’re the work of its residents. Floral arranging is just one of the activities residents enjoy taking part in as part of Star of the Sea’s innovative approach to supporting people as they age. The 96-bed aged-care residence uses the Montessori principles for dementia and ageing, which empowers individuals to remain as independent as possible and enjoy meaningful activities around their unique interests, talents and abilities. 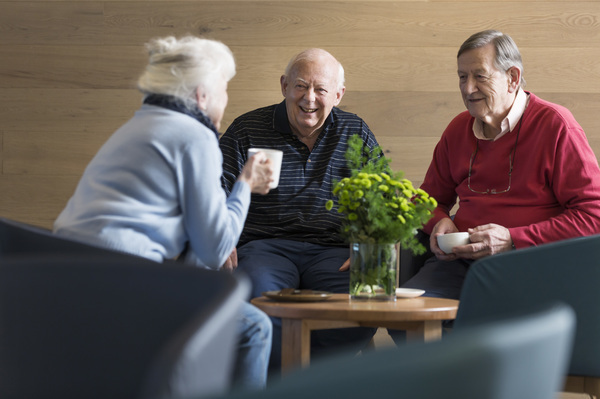 One in 10 Australians aged over 65 are living with dementia and residential aged care plays an essential role in supporting older people to enjoy a good quality of life. Star of the Sea staff have received Montessori training to ensure everyone is working towards the same goal: to support each resident to live the fullest life possible. Montessori in aged care requires carers to have a good understanding of the individual’s history, their interests, physical abilities and emotional needs. Star of the Sea uses these Montessori principles in its lifestyle program. The program’s activities include an art and craft group, gardening and a walking group. The program continues to evolve to meet the interests of residents. Anyone wanting more information about Star of the Sea or its Montessori practice for dementia and ageing can phone 8593 8444. Star of the Sea is under the umbrella of Villa Maria Catholic Homes (VMCH), which emphasises its “passion and commitment to everyday people”. “Villa Maria Catholic Homes works in partnership with people of all ages and abilities, from all faiths and backgrounds, to achieve their goals, remain connected to their community and maintain independence,” the organisation explains.